Relocating in NYC is a difficult endeavor. You’ll need to plan, prepare and do a million other different things. When the moving madness ensues, it’s good to have someone who can help you deal with it. 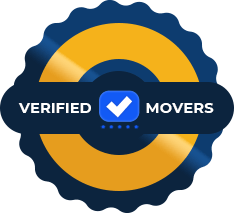 If you hire our services, Dynamic Movers NYC will take all the stress out of your move. Our Williamsburg movers are there to make any relocation in the New York area easy and fast. All you need to do is contact us and schedule your moving day while we take care of the rest. Williamsburg is a neighborhood in Brooklyn, NYC. 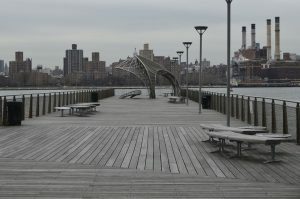 It rests on the east bank of the East River across the Williamsburg Bridge, east of lower Manhattan. This part of the Big Apple is home to around thirty-five thousand people, so there’s gotta be something right with it! So, if you’re moving here, you’ll have a very interesting time! But, you’ll need to make sure you hire reliable movers in New York to ensure that your relocation goes well. 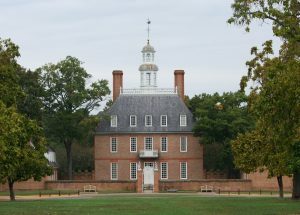 Williamsburg was established in 1638 as a trading outpost and it wasn’t until 1827 when it became a part of one of the greatest cities in the world. In addition to a long history, this neighborhood has a rich cultural heritage. There are a lot of interesting theatres and theatre groups in this neighborhood as it has a long tradition of celebrating art. So, if you’re a fan of the theatre, musical arts or the modern graffiti arts, this might be the perfect location for your next home. Finally, Williamsburg is one of the most inclusive neighborhoods in NYC. All sorts of people from all walks of life live here. Why would you move here? Moving to this neighborhood is a good idea if you’re looking for a little more living space but you still want to be close to Manhattan. So, since Williamsburg is not in crowded Manhattan, you’re much more likely to find a perfect home for the right price. However, this is not the only reason why this neighborhood has drawn so many people over the years. Access – as we said, this Brooklyn district is close to the center of one of the biggest cities in the world. This gives you almost unlimited access to everything! Traveling takes little time as airports are close by, commuting is easy and there’s a lot of commodities which are readily available in NYC. All fo this but for the fraction of the price of a Manhattan apartment. Art – this place has a very developed art scene where you can discover local performers, artists, and actors. NYC lifestyle – restaurants, shopping, and generally enjoying yourself without leaving your neighborhood is all available within Williamsburg. If this is not a reason to hire Williamsburg movers, we don’t know what is! 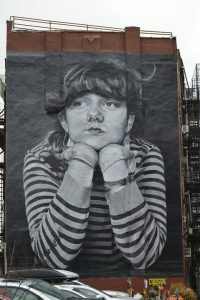 Famous for its street art, Williamsburg respects and celebrates art! Things to do in Williamsburg, NYC? So, what can you do in this part of Brooklyn? There’s not much point in hiring well-known Brooklyn movers to relocate you to Williamsburg unless you think you’re going to have a good time here. Well, you’re right! This neighborhood has so much to offer to people of different ages and interests. restaurants – any foodie would find themselves at home in Williamsburg. There are a lot of restaurants here and a lot of different choices of cuisine. cafes & bakeries – taste the perfect NY bagel! pizza places – we don’t have to tell you about NYC pizza, right? breweries – a lot of local NYC breweries are in this part of Brooklyn. Visit them and try the brew of the local masters! recreation – gyms, pools and courts, you’ll find whatever you need for fitness in Williamsburg. 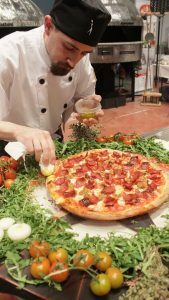 Have a taste of that famous Brooklyn pizza. Finally, this is one of the best neighborhoods in NYC for students. Brooklyn is overall a great place to live while studying in NYC, but Williamsburg has a special charm to it. Thus, it stands out. It’s probably that Manhattan and all its clubs are close by, but there are also so many interesting places to have a good time on this side of the river. Why you’d need Williamsburg movers? Each move is unique and incredibly demanding. This is why you’ll need moving services NYC to ensure your relocation goes smoothly. There are many things to do when planning and conducting your move and hiring movers helps even out the workload. Why would you move last forever when you can get some assistance and finish it in one day? So, saving time is one of the main reasons why you’d want to hire reliable movers. Another reason you’d want professionals Williamsburg movers by your side during the moving day is safety. A lot of things can go wrong in a single move and it’s really useful to have trained professionals to address whatever happens. With their experienced and moving tools, the movers you hire will be able to tackle any issues you might run into. This will guarantee a safe relocation for you and for your belongings. This is especially important if you’re moving far away. These moves last longer, so there’s more room for something to go wrong. Hiring long distance movers in NYC you can count on will ensure that you and your things arrive in one piece. Hopefully, we’ve helped you find the next perfect neighborhood for your home. This part of Brooklyn holds a special place in the borough as it offers so much. If you decide you’d like to invest in your own house in Williamsburg, make sure you inspect a home before buying it. Getting a property in NYC is a big deal and you should seriously think it through. Once you find the perfect home for you and your family, just call our Williamsburg movers and we’ll guarantee your safe relocation. No need to worry about your things, you can just relax and enjoy your new life! Moving to this part of Brooklyn is definitely a good idea.